non-profit funding research to fight pediatric brain cancers. $45 per seat. Includes lunch, dinner, goodie bag, freebies, shared tool station and chance to win door prizes from K&Company, McGill, EK Success, Eyelet Outlet and more! Grand prize is to be determined but will be awesome! Lots of fun and friendliness guaranteed! Best of all, every cent goes toward fighting children's brain cancer. Come do good and have fun with us on April 6! 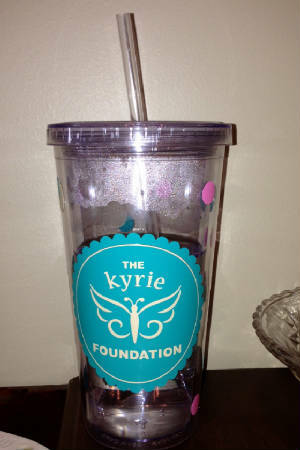 For more information, visit www.kyriefoundation.org. If you are interested in being a vendor, please let us know! We will be looking for vendors of all types, not just scrapbooking! Also, please let us know if you are interested in being an instructor. 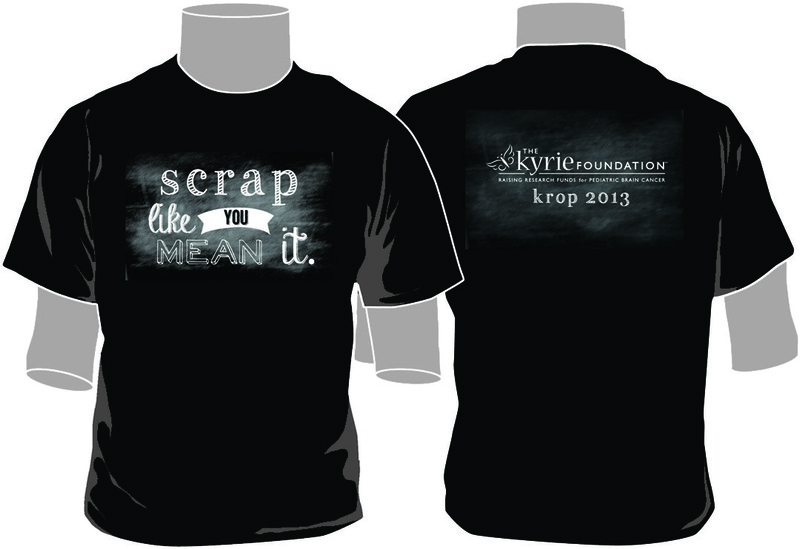 Please e-mail krop@kyriefoundation.org for more info! Please register soon to save your spot! Fill out form below, click Submit and pay with Paypal by clicking Buy Now. ***You will receive an email after you have registered. This option will cost an extra $2 because of Paypal fees. The t-shirt design in below. It is adorable! To purchase your shirt and have it delivered at the crop, click buy now below. You have to pay separately for your shirt and crop fee. Clicking each button will take you to Paypal and you can pay for each item. Any questions or problems, let us know! When buying the shirt, paying thru Paypal will cost $1 more because of Paypal fees.